We all like great sound quality, right? 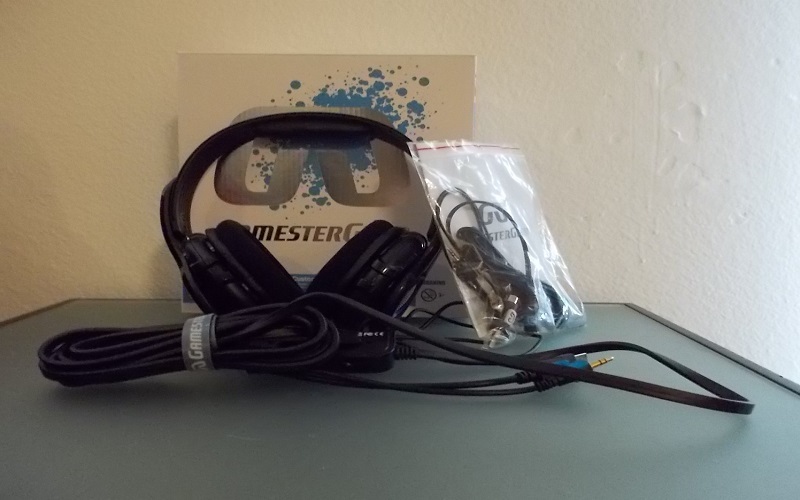 I’m very sure that if you own a gaming, or a heavily customized PC, you like to have high quality audio, be it by means of a surround sound system or a great pair of headphones. The usual downside with a set of phenomenal gaming headsets is that they tend to break the bank. Most quality headsets, with their large drivers and surround support tend to run well over $150. 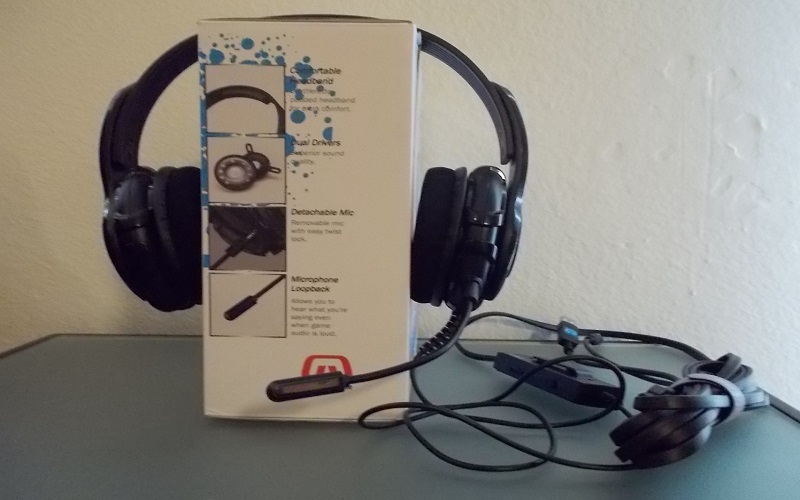 I’m not saying that an inexpensive headset can be bad, I’ve used a $30 Plantronics 355 and loved it, but when the product costs more, you can expect it to have more features. So, what happens when a product advertises more features, but doesn’t necessarily cost more? 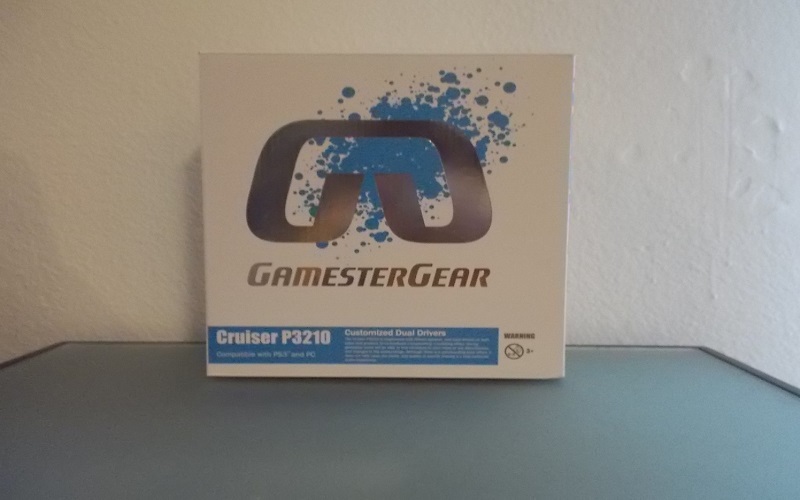 The Cruiser P3210 from GamesterGear, which MSRPs $90 seems to be that product, so how about we take a look. In the stylized white box we have a very simple package: the P3210, it’s attached 12.5ft cord, and a bag containing the manual, detachable microphone, and female 3.5mm to stereo RCA cable. The headset is an around ear model, which means that, at least for me, its already infinitely more comfortable than any on ear model. The top of the band has a soft pad which can be an absolute lifesaver when you’re gaming, or working for more than a few hours. The comfy ear-muffs are also removable, and hand-washable for you neat-freaks out there. The detachable microphone is a neat little touch, although it is kind of thin, so if you’re prone to losing things I suggest leaving it attached. Two feet down the cord there is an inline control panel (with a clip, should you want to secure it to yourself) with dials for Chat, Game, and Bass, as well as a mute/un-mute toggle for the microphone. The Chat dial will adjust Skype or Ventrillo volumes, the Game dial will adjust everything else, and the Bass dial will feed more or less power to the 30mm Bass Enhanced Driver. Something noteworthy: Read the manual prior to installation You will to follow the directions for the rumble feature to work properly! I’m very serious about this. Without the proper installation (both on the PC and PS3, although it should be mentioned that the PS3 installation is a lengthy procedure) you only get 50% percent of the functionality of the headset, and the 3D sound does not function properly! Now that we’ve discussed discussed form, lets talk function. 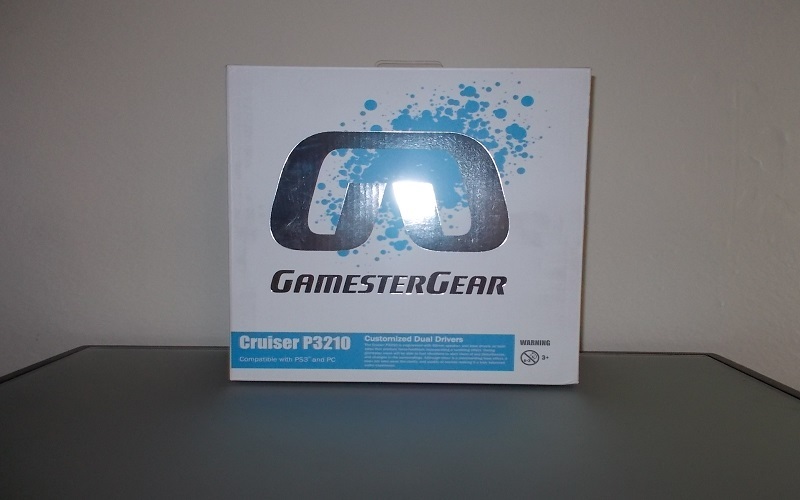 In terms of general quality, the headset’s 50mm drivers do some impressive work. Bright highs are very noticeable, and the mid range is phenomenal to say the least, but both of these sometimes get stomped out by the bass and it’s augmented 30mm rumble driver. The feature is nice, but can get startling, because (during gaming) not all of the bass input will be enhanced to rumble. This was very prominent during testing: DOTA 2 was used to test both the Rumble and 3D sound features of the headset. The 3D sound is out of this world. Moving across the screen could be followed by sound alone; you could track your hero with your eyes closed. This is also where I found the rumble to be startling: most of the bass booms that follow skill activation did not rumble; however, every time the level up effect was displayed, the headset erupted with tremors. Very startling at first, but as I grew used to it, I actually began to favor the secondary, tactile alert that I’ve leveled up. During a shooter (Far Cry 3: Blood Dragon) the rumble was toned down, and used to represent footsteps within a decent radius of the player. The rumble would also kick in during the heavier bass parts of the music. Speaking of which, if you are not gaming, and say listening to Earth, Wind, and Fire’s Greatest Hits CD, the rumble is present to a lesser degree, in every beat. If the rumble feature starts to annoy you, or you simply don’t want it there, you can disable it by dialing the “Bass” dial all the way down on the inline controller. The microphone works very well during voice chats, and Skype can automatically integrate the headset into it’s software. 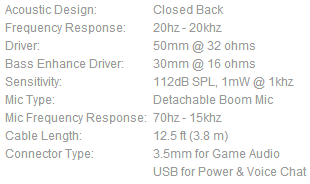 Since we’re talking about voice chat, one feature of note is that the microphone has audio-feedback. This was really unnerving for me at first, because it made me aware of my own voice: with audio feedback, you’re hearing your voice twice, once through bone conduction, and once though aural conduction, at the same time. There’s no delay, and no echo, just your voice. It’s really quite strange at first, but much like the rumble feature, you grow used to it. Just a heads up, the receiving end mentions that the mic clips tends to clip the audio, so you might need to fumble about with the sensitivity settings. The results on the PS3 are very much the same as on the PC. The set up procedure is a little bit convoluted, you have to go into the sound setting and set the outputs/inputs. The 3D sound is great, and the rumble feature varies from game to game. While playing The Last of Us, the rumble feature worked much like it did during my play through of Blood Dragon, rumbling with footsteps. During Street Fighter Alpha 3, the rumble was present with every heavy attack, but only after the bass was turned up to maximum. People on the other side tell me that the microphone is clearer on PS3 than is it on PC using Skype, which seemed strange. As always, its time for the pros and cons to this product, and they look a little like this. Price: A headset with these sorts of features is rarely $90. Comfort: The Cruiser is phenomenal in terms of how well it rests on your head. In-line controls are great, allowing for different channels without having to use the Windows Mixer. Plastic construction might strike some as “flimsy”. Rumble feature might annoy some. Only for PC and PS3, sorry XBOX 360 Users. At first, the headset didn’t strike me as anything amazing; it seemed gimmicky, flimsy, and the dials wouldn’t work right. (The bass dial somehow got control of the chat channel, etc.) After I re-installed the drivers, and followed the manual, the headset began to show it’s true worth. This comfortable, feature stuffed and most importantly affordable headset is more than meets the eye, and is definitely worth your time, should you choose to pick it up.